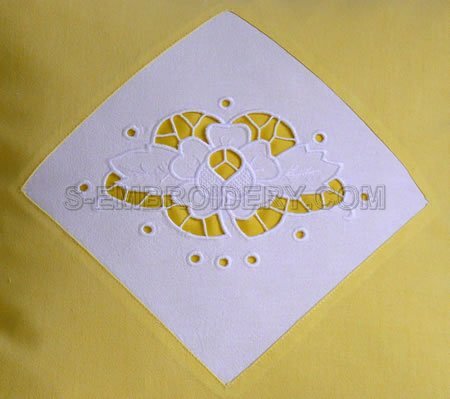 This nice rose cutwork lace machine embroidery design can be used in various embroidery projects - decorate pillows, table cloth, etc. 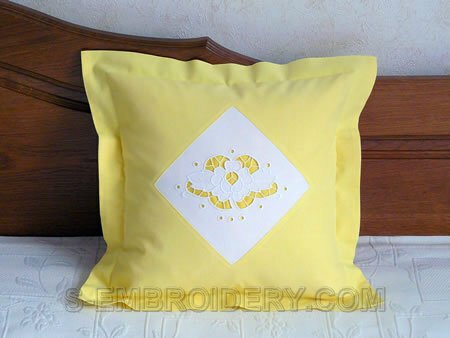 The design comes with a generic tutorial for using cutwork lace to decorate a pillow case. Note: If you are new to cutwork lace, you may want to have a look at our Cutwork lace tutorial ( Click here for tutorial ).